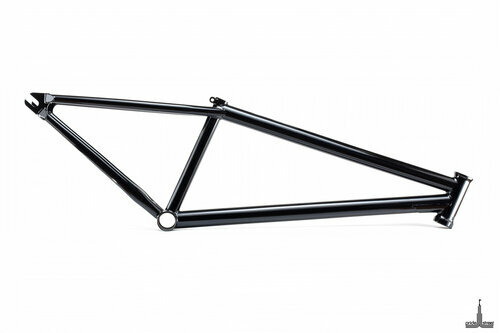 Главная Рамы MTB 24" Pride-Street Main Frame 24"
due to the perfect geometry will cope well in any of these places! 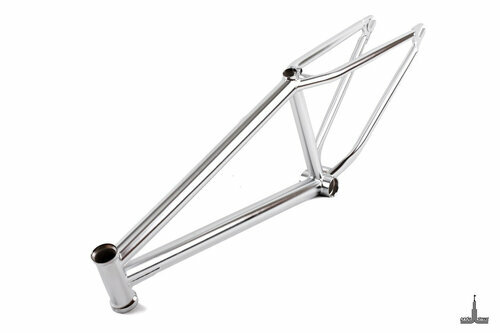 It is made of repeatedly triple butted Cro-Mo steel and this strengthened it. Perfect geometry was reached by using very short top tube and chain stay, and perfect angels. 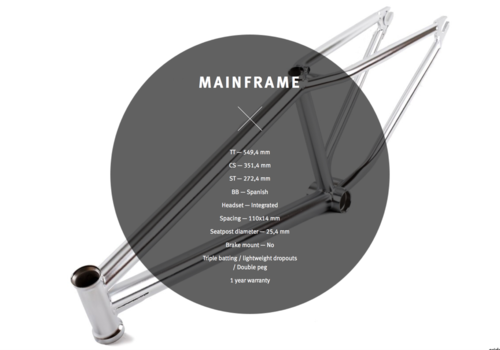 Frame has clean design: Integrated headset, Spanish BB, BMX hub, no brake mounts and gyro tabs mount. When someone asking us “Did you stole the geometry?” we say NOFCKHEAT! 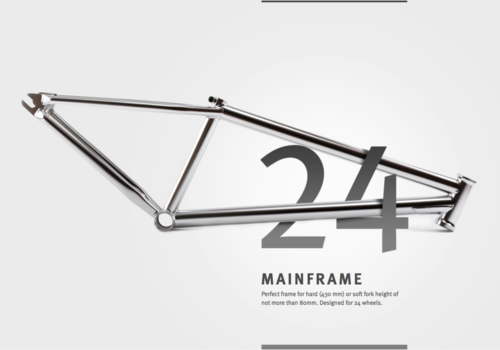 Don’t worry, this frame will help you to improve your skills and make movement faster.